You Are Here: Home > What is Toyota Safety Sense™? Toyota Safety Sense™ is a suite of advanced driver assist and safety systems that provide peace of mind, whether you’re heading out for pizza in Culver City or driving over to enjoy the many things to do in Playa Vista. Learn more about the TSS™ safety features, then stop by Toyota Santa Monica to try them out for yourself. It can be pretty unpredictable out on the roads around Culver City, but the advanced features of Toyota Safety Sense™ can help to keep you safe and sound. Explore our new Toyota inventory to find models that come with TSS™, and make sure to check out our new vehicle specials for some of the best offers available. 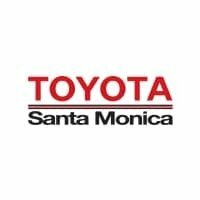 We’ve got the Toyota car, truck, or SUV you’re looking for at Toyota Santa Monica, so contact us to schedule a test drive today!